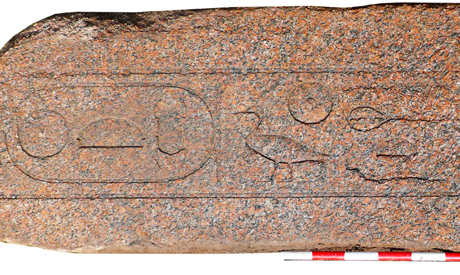 A large temple lintel made of red granite was discovered by an Egyptian-Spanish mission during excavation work at the temple of Heryshef at an archaeological site in Ihnasya El-Medina, Beni Suef. Mahmoud Afifi, the head of the Ancient Egyptian Antiquities Department at the Ministry of Antiquities, announced the discovery on Saturday. He described it as “very important” because the lintel is engraved with two cartouches containing the name of the Middle Kingdom King Sesostris II, (c.1895 – 1889 BC), who built the Lahun pyramid located 10 km away from Ihnasya. 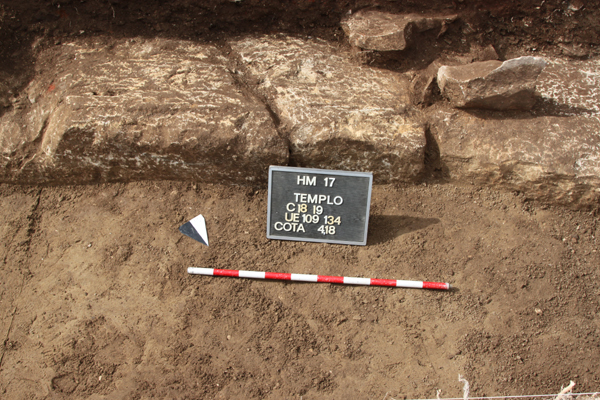 The presence of the lintel at the Heryshef temple proves the interest of Sesostris II in this site, and in Fayoum in general. Maria Carmen Perez-Die, the director of the mission from the Antiquities Museum in Madrid, said that the mission had uncovered several constructions levels, one dating to the early 18th dynasty, which concluded with the reign of Thutmosis III (c. 1479 – 1425 BC) and another to that of Ramesses II (c.1279 – 1213 BC).